Jeff is a third-generation beekeeper who currently manages 20 hives and mentors beginning beekeepers. He is passionate about promoting healthy colonies through natural beekeeping practices and sustainable integrated-pest-management techniques. 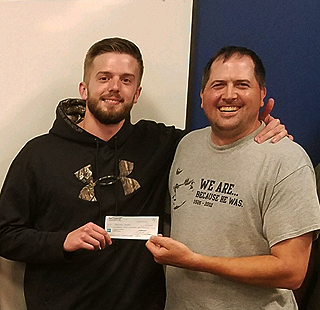 Jeff has worked closely with Burgh Bees since 2009 in various capacities to increase community awareness and support for the organization. Elected to the board in the Fall of 2013, he will serve as the apiary director for our Homewood apiary and will mange corporate interest for our hive leasing and management program, with accounts such as Whole Foods Market and The Porch at Schenley, an Eat’n Park hospitality group restaurant. Jeff is an avid environmentalist and sustainable business owner. He created and runs SEEDS Green Printing and Design, a green printing and design company located in Pittsburgh that serves clients worldwide. 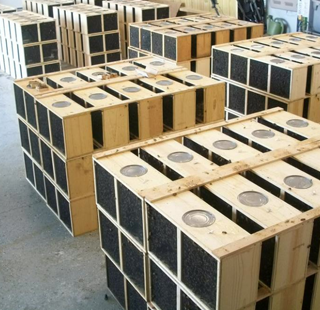 2019 Bee Package and Nuc Suppliers Meadow Sweet Apiaries - http://meadowsweetbees.com/ Nucs Italian/Carniolan open mated Queens in 5 frame DEEP FRAME Nucs - from $160 Nucs will be in cardboard or wooden Nuc boxes with no box returns or frame exchanges. Pick up around April 14th, location TBD. Click Here for additional information and to download an order form. Contact Steve via email (preferred) at meadowsweetbees@gmail.com or phone 412.445.7872 if you have questions. Always Summer Herbs - https://alwayssummerherbs.com/ (724) 735-4700 Nucs PA survivor stock bees in 5 frame MEDIUM FRAME Nucs. PA survivor stock crossed with Purdue "Leg Chewers" - $180 PA survivor stock crossed with Ontario Buckfast hybrids - $175 Pick up will be in Slippery Rock, PA visit website for pick up dates. Click Here to order online or for additional information. Bedillion Honey Farm - https://www.bedillionhoneyfarm.com/ (724) 356-7713 Packages 3 lb. 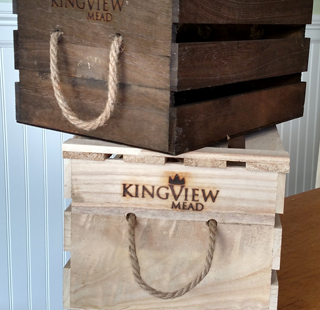 packages - $125 (add $3 for marked queens) Pick up in late March Local Northern Nucs 5 frame deep nucs - $165. 5 frame medium nucs - $165. Nucs will be in cardboard or plastic boxes. Pick up will be in Hickory, PA in late May or early June. Click Here to order online or for additional information. Johnson Apiaries (724) 312- 7584, (724) 728-6826, or (724) 544-6111 3 lb. packages with Italian Queen – Call for price. Pick-up date in April. Pick up locations in Beaver County and Allegheny County. 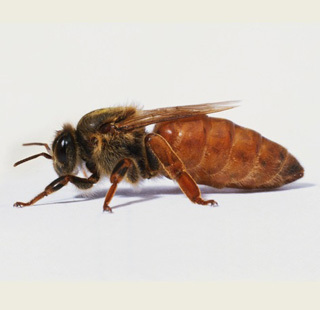 Would you like to learn more about honeybees and beekeeping? Are you curious about seeing the inside of a beehive? Then come to our monthly Open Apiary. You will be given a guided tour of the inside of a beehive by an actual beekeeper. 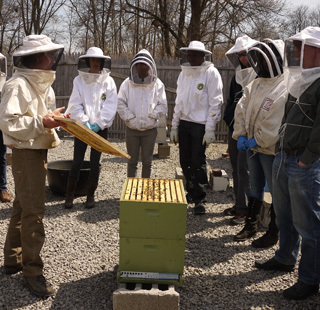 Our apiary tours are held at our Community Apiary in the Homewood Neighborhood of Pittsburgh. 6933 Susquehanna St., Pittsburgh, 15208 Protective head gear will be provided. Please wear or bring long a long sleeved shirt, preferably with a collar, and long pants (no Capris or shorts please!) Also, closed toed shoes such as sneakers are recommended. Honeybees are gentle but we want to keep as covered up as possible. A donation of $10 per person is appreciated. Open Apiaries are limited to 15 people so please register early. RSVP by email to Kyle Pattison (kyle@burghbees.com) by 5pm on the Friday before the scheduled Open Apiary. The tentative schedule is below. Actual dates will be determined by weather and will be posted in the events section on our website. Events will start at 11:00am (gates close at 11:15am - no late arrivals are permitted. Please allow 2 hours for the event. Sunday May 21 Saturday June 17 Sunday July 23 Saturday Aug 19 Sunday Sept 17 We have also partnered with Penn State's Master Gardener Program. We will have students from the Master Gardener program on hand to discuss pollination and pollinator friendly gardens. 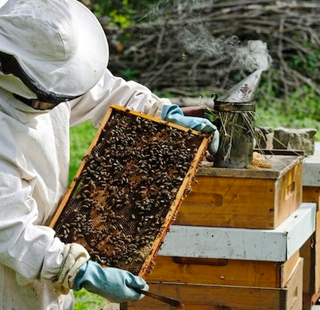 Would you like to learn more about honeybees and beekeeping? Are you curious about seeing the inside of a beehive? Then come to our monthly Open Apiary. 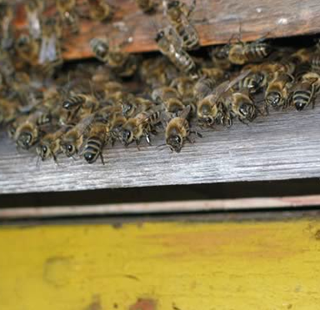 You will be given a guided tour of the inside of a beehive by an actual beekeeper. 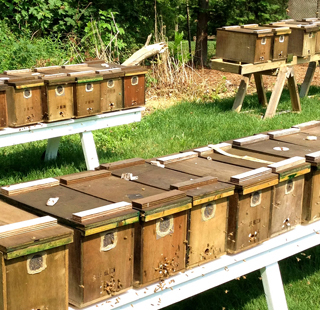 Our apiary tours are held at our Community Apiary in the Homewood Neighborhood of Pittsburgh. 6933 Susquehanna St., Pittsburgh, 15208 Protective head gear will be provided. Please wear or bring long a long sleeved shirt, preferably with a collar, and long pants (no Capris or shorts please!) Also, closed toed shoes such as sneakers are recommended. Honeybees are gentle but we want to keep as covered up as possible. A donation of $10 per person is appreciated. Open Apiaries are limited to 15 people so please register early. RSVP by email to Lynnetta Miller (lynnettam@burghbees.com) by 5pm on the Friday before the scheduled Open Apiary. The tentative schedule is below. Actual dates will be determined by weather and will be posted in the events section on our website. Events will start at 11am (gates close at 11:15am - no late arrivals are permitted. Please allow 2 hours for the event. Saturday April 30 (11am) Sunday, May 22 (11am) Sunday, June 19 (11am) - Father's Day Sunday, July 24 (11am) Sunday, August 21 (11am) Sunday, September 18 (11am) We have also partnered with Penn State's Master Gardener Program. We will have students from the Master Gardener program on hand to discuss pollination and pollinator friendly gardens. 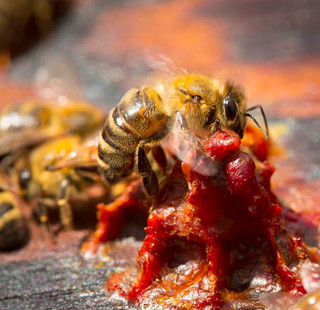 Our President, Steve Repasky, has recently talked about the changing perception of propolis in the hive and referred to research done by Marla Spivak, PhD. I wanted to pass these thoughts on for your consideration. We all know that propolis is the sticky resin bees use to glue everything in our hives together and that it is highly antimicrobial meaning it is antibacterial, antifungal, and even antiviral. Most of us work hard to scrape it out of our hives. The research in the article linked below, indicates that we should probably be encouraging our bees to line the inside of our hives with propolis as they do in tree cavities where they nest. To facilitate this you can rough up the inside of your hive bodies with very coarse sandpaper encouraging the bees to cover them with propolis. This is not a silver bullet for our problems, but may be one more tool to improve the health of our bees. To read the full article,click here. Welcome to the digital home of Burgh Bees! We are a non-profit organization dedicated to the promotion of urban beekeeping.